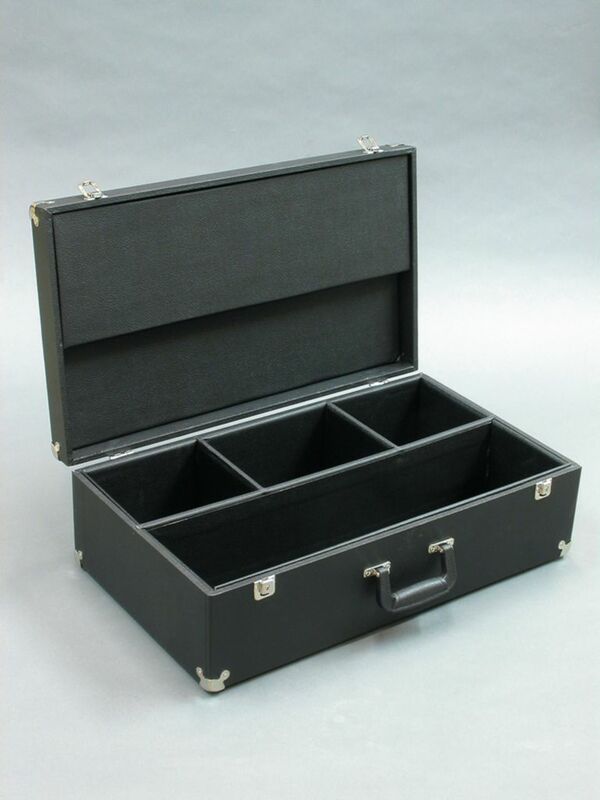 The Premium Carrying Case for Human Skeleton or Multiple Skulls is a high-quality storage and transportation unit made with sturdy plywood, lined with foam, and covered with tough vinyl. Chrome hardware on each corner provides first-rate reinforcement, and metal buckle clasps and lock assure closure and security. This case will fit an adult disarticulated human skeleton and postcranial bones. 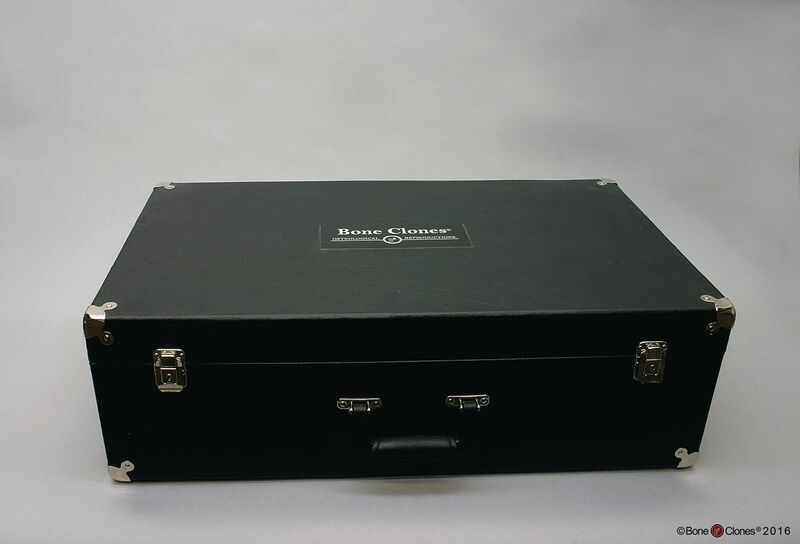 In addition, the case with its multiple divisions will fit up to six human and fossil hominid skulls as well as many primate skulls.